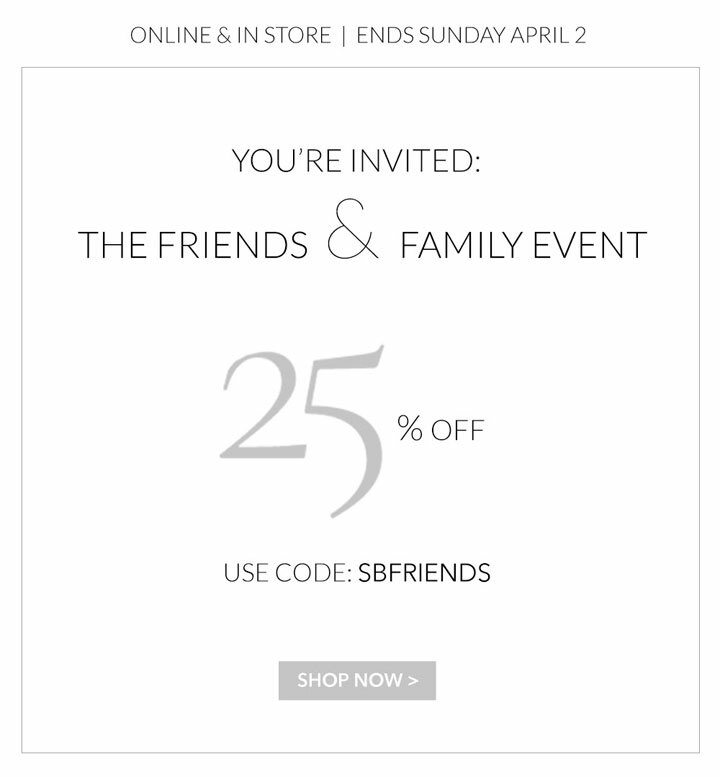 WHY: Get an extra 25% off your purchase at the Sachin & Babi Friends & Family Sale. In store and online at SachinandBabi.com. Use code SBFRIENDS at checkout online.